Laser treatment is becoming the norm in medicine. Everything from the eyes to hair to the veins of the legs can be treated with laser surgery or laser therapy. Laser vein treatment is the process of using lasers to make the veins less visible. Not everyone will qualify for the treatment. People who are pregnant or have tattoos in the area to be treated may not qualify. Certain medications can also lead to problems, so laser vein treatment must be avoided. These medications include blood thinners, photosensitizing drugs, and Accutane. Individuals who have vitiligo, herpes, or diabetes are also not good candidates for laser vein treatment. However, you should always consult with a trained professional to find out whether or not you can receive this treatment. Why have Laser Vein Treatment? 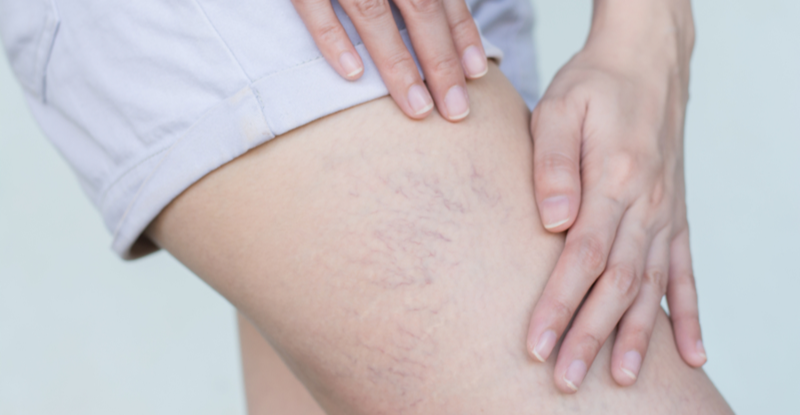 Laser vein treatments can lessen the appearance of spider veins. These veins are simply cosmetic in nature, but many people who have them feel self-conscious. This laser treatment can boost your self-esteem by revealing your smooth, blemish-free skin. Spider veins don’t need to hold you back from wearing the clothes you love or doing things you enjoy. Laser vein treatment is a way to non-surgically collapse and disable the veins that have turned into a visible nuisance. The heat from the laser transmits energy into the veins, which causes them to disappear permanently. There is no downtime associated with this treatment, and the laser features cooling technology to provide maximum comfort. Laser vein treatments are not for everyone. However, if you are a candidate, you will be able to see instant reduction in visibility of your veins, no matter where they may be. The only way to know for sure whether or not you are a candidate is to ask a professional at About Face Anti-Aging Institute in Harker Heights and Killeen, TX. We also serve the surrounding areas of Temple, Belton, and Waco. Contact us today to schedule your consultation!